Devastation from hurricanes and wildfires will only add to demand these top advisors say. Strong demographic trends, limited supply and an ongoing recovery from the financial crisis have been enduring tailwinds for the homebuilding sector. The devastation from this season's hurricanes and wildfires will only add to demand. Six newsletter advisors and MoneyShow.com contributors offer their top investment ideas in the homebuilding group. MDC Holdings (MDC - Get Report) is a builder and seller of homes with ongoing operations in numerous communities throughout nine states (including California, Colorado, Maryland, Virginia, Arizona and Florida). It operates under the name Richmond American Homes and also is an originator of mortgage loans and title agency services primarily to its homebuyers. Despite modestly higher interest rates and the likelihood that they will move higher still, MDC Holdings has performed well, posting better-than-expected EPS the last three quarters. And going forward, we remain constructive as the U.S. economy continues to show improvement, with a solid outlook for employment, consumer confidence and wage inflation for its prospective customers. The company sports a broad geographic footprint, boasts successful cost-control initiatives and maintains a solid balance sheet, with ample liquidity that the company continues to smartly tap as it acquires land in attractive markets across the country. The firm's backlog stands at $1.68 billion, growing on stronger pricing as well as unit increases. The stock trades for 13 times next 12-month adjusted earnings and yields 3%. D.R. Horton (DHI - Get Report) is the largest homebuilder in the U.S. by both number of homes sold and revenue. The company benefits from a broad geographic footprint, operating in 41 of the top 50 markets in the country -- with Texas and Florida the two most meaningful states for the homebuilder. Over the past 12 months, the company has closed nearly 45,000 homes at an average price of approximately $295,000. Though D.R. Horton is the largest builder nationally, homebuilding is ultimately a local business. The company is well positioned, often serving as the top builder in its local markets. Its Express Homes brand targeting the entry-level buyer has demonstrated the most impressive recent growth. D.R. Horton started the Express Homes brand in 2014 and it has quickly grown to over 30% of total homes closed for the company. With an average selling price of approximately $225,000, Express accounts for about 25% of total revenue. D.R. Horton also offers the Emerald Homes brand for the higher-end move up and luxury buyer and recently started the Freedom Homes brand, offering a low-maintenance lifestyle in communities designed for active adults. During the financial crisis, the firm wrote off $4 billion of land. To limit upfront capital investment, it has increased the option portion of its land and lot portfolio. Land option contracts give D.R. Horton the right, but not the obligation, to buy land or lots at predetermined prices. This reduces the risk associated with land ownership and development. The move to an asset-lighter strategy should help boost returns on capital and result in improved free cash flow. Given demonstrated cost control, we expect the company will be able to generate some leverage with EPS growth exceeding revenue growth. If we project 12% EPS growth over the next five years and apply a high P/E of 15.4, we get a potentially high price of $72. Applying a low P/E of 11 to 2016 EPS of $2.36 yields a low price of $26. Therefore, we model an upside/downside ratio of 3.5 to 1 and a projected high return in excess of 15% annually. PulteGroup (PHM - Get Report) , the third-largest U.S. homebuilder, reported third-quarter adjusted earnings per share of $0.60 on Tuesday, a penny above consensus estimates. Revenue of $2.13 billion came in under the consensus estimate of $2.3 billion. The company reported year-over-year growth in new orders, average selling prices and number of homes sold. In addition, Pulte repurchased $260 million of stock during the quarter. Between the third-quarter earnings beat and CEO Ryan Marshall's expectation of "strong fourth-quarter and full-year financial results," investors can expect upward revisions to full-year consensus earnings estimates. Prior to such revisions, Wall Street expected Pulte to aggressively grow EPS by 29.6% and 30.6% in 2017 and 2018, respectively. The stock's 2017 P/E is just 14.2, and even lower for 2018. The stock yields 1.2%. The growing U.S. economy, combined with low interest rates and high levels of consumer confidence, is fueling new home purchases. The industry continues to be hamstrung by scarce labor. 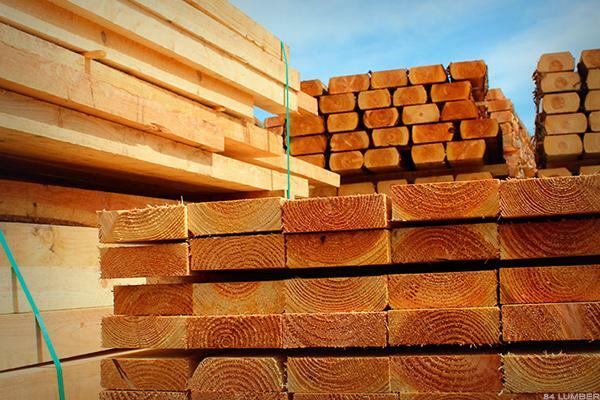 In addition, costs of wood products in the wake of recent hurricanes and wildfires are expected to impact fourth-quarter margins. I began recommending Pulte shares in February 2017, due to prospects of incredibly strong earnings growth, a single-digit P/E, and a price chart that implied an impending breakout from a four-year trading range. The breakout took place a week later, and the stock has since risen 33.6%. I'd like to see PHM rest for a while in preparation for additional capital gains. Homebuilders have been perking up with the broad market in recent weeks, and LGI Homes (LGIH - Get Report) is a relatively new name in the sector and looks like a leader in the group. The company has 77 communities across 10 states in the U.S., with a focus on central and southeast, which make up about 80% of its holdings; LGI Homes is focused on first-time buyers, offering move-in-ready homes and using targeted marketing to accelerate their closings. Analysts expect the company's excellent string of earnings growth will continue, with 29% growth this year and 17% next, but LGI's history of topping expectations means those figures are likely conservative. A low valuation (just 12 times this year's estimates) is another plus. With the economy remaining resilient despite many worries, LGI Homes' future looks bright. We identified nine factors from Quadrix -- our proprietary quantitative ranking system -- that have proved effective with S&P Small Cap 600 stocks over the past five years, 10 years and since inception. Founded nearly 60 years ago, KB Home (KBH - Get Report) builds single-family homes in seven states. It focuses on midpriced houses, with an average selling price of $363,800 last year. The stock scores above 50 (out of 100) for seven of the nine Quadrix factors that have consistently worked. It scores above 80 for key valuation metrics price/free cash flow and price/sales. Rising labor and raw-material costs have caused gross profit margin to contract in recent quarters. But robust sales should support profit growth. Management expects sales to exceed $5 billion in fiscal 2019, up from $3.6 billion last year, which implies double-digit growth over the next three years. KB is being upgraded to a Best Buy. Taylor Morrison Home ( TMHC - Get Report) scores above 80 for six of the nine Quadrix factors we reviewed -- more than any other stock in our universe. The stock ranks in the top quintile for all key valuation metrics: price to free cash flow, price to sales, and P/E ratio based on estimated earnings for both 2017 and 2018. The homebuilder operates in eight states, primarily in the South and West. About one-fifth of Taylor Morrison homes are sold to first-time homebuyers. But with an average home price of $465,000 last year, Taylor Morrison tends to address a more upscale market than KB Homes. 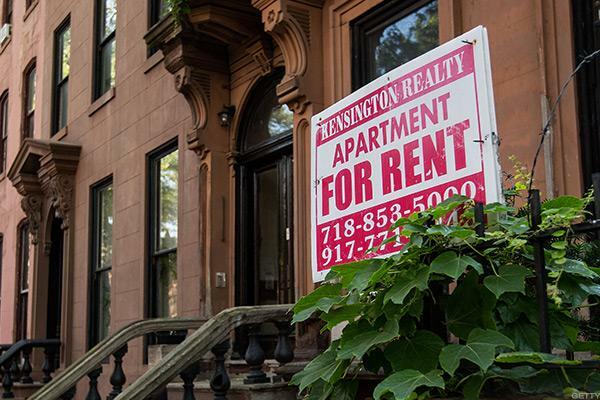 Conditions for the U.S. housing market remain favorable. Taylor Morrison, with an overall rank of 97, is rated a Buy based on its 12-month potential. Toll Brothers (TOL - Get Report) is primarily a land developer and builder of executive and luxury homes. Its average home price is about $700,000 in most of its regions. In California, its average home price is much higher at $1.5 million. It operates in 19 states in four regions of the U.S. It also has other businesses of increasing importance, including selling homebuilding lots to other builders, building luxury high-rise condos in large cities, and building and renting apartment units in selected large cities. After declining 7% in 2016, the stock has risen 39% in 2017 to date. Earnings per share were up 14% in the latest quarter. Earnings have been rebounding, albeit with volatility, in line with the recovery of the U.S. economy, American home prices and new home starts. The P/E ratio is neutral in attractiveness at 15. This ratio is based on earnings adjusted for an unusual warranty expense that the company recently incurred. The price to book value ratio is 1.6 and return on equity is good at 11.3% and has been rising, albeit with some volatility, for several years with the housing recovery. Based on existing signed contracts, I would expect growth in revenues of about 21% in the next year, as the backlog is up by that figure. Earnings growth is harder to predict as costs will rise along with revenue but could be more than 21% given economies of scale. This company is unusual in that the nine- to 12-month lag between contracting to build a house and delivering that house means the revenues are quite predictable in the year ahead.